We’re going to be part of the 2019 NCECA conference! 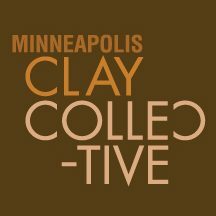 Our gallery space will be in the Q.Arma Building in Northeast Minneapolis. Participating artist will be: Brynne Macosko, Melissa Favero, Kori Parish, Aaron Moseley, Danielle Fernández, Kathryn Baczeski, and Joe Torke. We’ll keep you updated as we get the logistics for our show nailed down. Cheers!